Logitech is a Swiss company that is focused to bring the innovative products with best quality. The company started its operations in 1981 with mice and later developed as one of the reputed company in producing wide variety of Computer accessories, mobiles, gaming products. 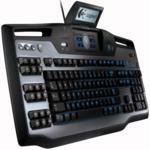 Logitech Keyboard is featured with many advanced features and are available in different models. Wireless keyboard, Bluetooth illuminated keyboard, wireless touch keyboard, solar keyboard, wireless illuminated keyboard, classic keyboard are some of the popular keyboards offered by the company. Logitech keyboard India Customer service team offers services from Monday to Friday between 9.30 am to 6.30 pm where the customers can register their complaints with the service number provided below. For any other information regarding Logitech keyboard drivers,software, Logitech keyboard wireless users can view Logitech Keyboard India website. The dongle of my keyboard MK220 has gone out of order. . As the same is not available in the market, please provide me with a free replacement at an early date and oblige. I bought a k270 keyboard from ebay. Inside the box, i could not find the nano receiver.I request you to provide me a solution.